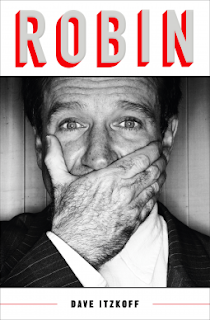 I may be about to date myself here but I have always been intrigued by Robin Williams since Mork and Mindy. I was very young but I can absolutely remember watching it. Then of course he went on to so many other wonderful acting roles (Genie from Aladdin...Hello). I always felt that watching him was like watching a mini hurricane in action because he was so very animated. Mrs. Doubtfire was by far one of my very favorite roles he played. This book really digs deep into his past and struggles to get to where he was and all the things that went on behind the scenes no one knew about. I loved reading interview portions from various people who had known him. The recurring theme was that no matter how much they tried it was almost impossible to get to know the "real" Robin. This is a must read for anyone who loves biographies or even if you just happen to admire Robin's body of work. Fantastic read and worthy of a 5 star rating in my book.